Following the recent opening of a new plastic injection moulding shop equipped with brand-new state-of-the-art equipment including injection moulding machines (IMMs) the new shop has just commissioned a Hilectro Robot XT– a multi-functional thermoforming unit. This is not the time for Vents to upgrade its production facilities with robotic equipment: the ventilation manufacturer has a long track record for using cutting-edge automatic equipment at various production units of its giant factory. 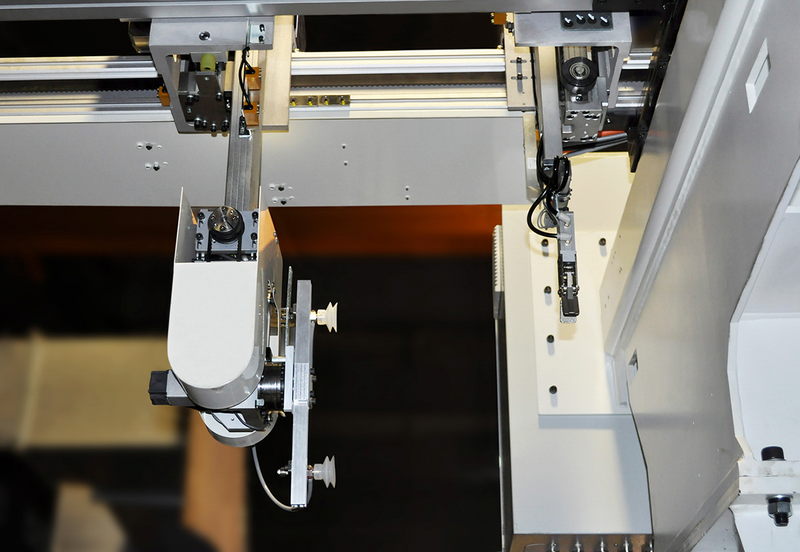 The recent acquisition of a Hilectro XTA Servo robot follows the company’s policy of implementing the latest technical advancements. 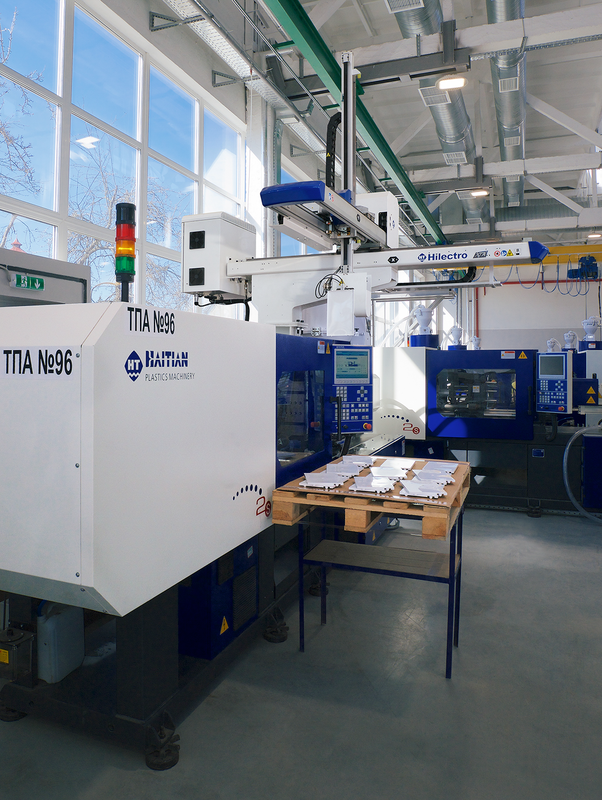 Complementing an injection moulding machine, the robot provides significant improvements both in terms of quality and quantity of the finished products. In addition to that IMM operators also stress that the new robot made using the equipment much easier than before. 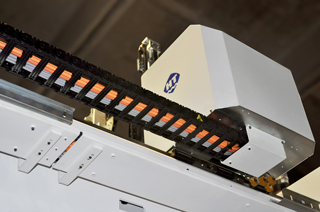 Hilectro Robot XT is intended to completely eliminate manual operations from injection moulding. The manipulator automatically inserts embedded parts into moulds, removes fabricated parts from the moulds, transports and assembles fabricated parts, removes sprue, checks the moulds for leftovers of fabricated parts and sprue and sprays the moulds with a release agent. The commissioning of Hilectro Robot XT was a major leap in reducing the influence of human factor on the fabrication steps and boosting the production rate. “Vents” stays committed to automating its manufacturing processes. 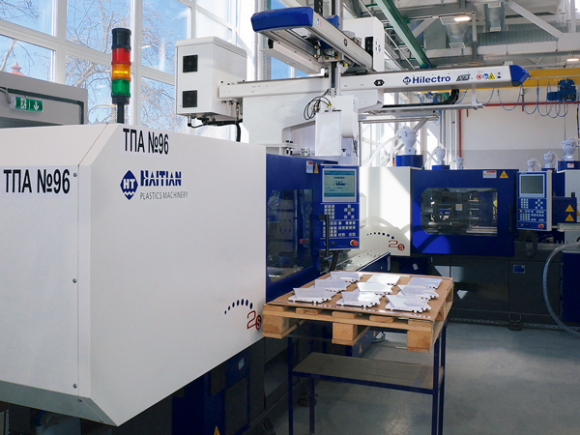 In the near future the company plans to acquire and commission yet another shipment of manipulator robots as well as new high-performance automated machining centres. VENTS maintenance service: always at the ready! VENTS at COSMOPOLITAN AWARDS – awarding the best! Please evaluate our updated site user friendliness?